When it comes to superyacht cruising grounds, sometimes it may be easy to forget that there is a big wide world to discover outside of the hustle and bustle of the main Mediterranean and Caribbean hotspots. With more and more owners and charter clients opting to stray a little further from the beaten track, here we shine a spotlight on some of the more exciting cruising destinations from all four corners of the world. Gerhard Veldsman has perhaps some of the most interesting tales from his time as captain. 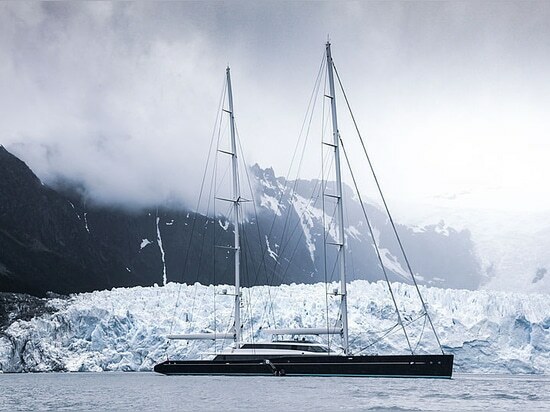 It is astonishing to learn how the largest ketch in the world, the 86-metre Aquijo was navigated through the stark environment of the Patagonian Fjords. With extreme weather conditions and sheer 40-knot winds blowing around the sailing masts, it is not a place for the faint-hearted. 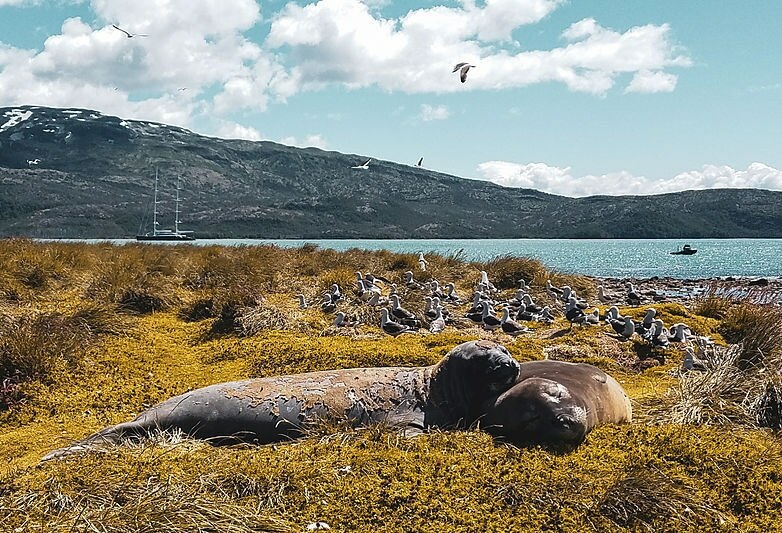 Patagonia is not a place to shy away from, as when the weather calms, there are vast exquisite glaciers to explore, perfect landscapes and the kind of silence that only can be found within the remote parts of planet earth. These are the anecdotes and insights into the world that should be shared, and the South African captain was happy to oblige. "I have been the captain onboard Aquijo for almost two and a half years. 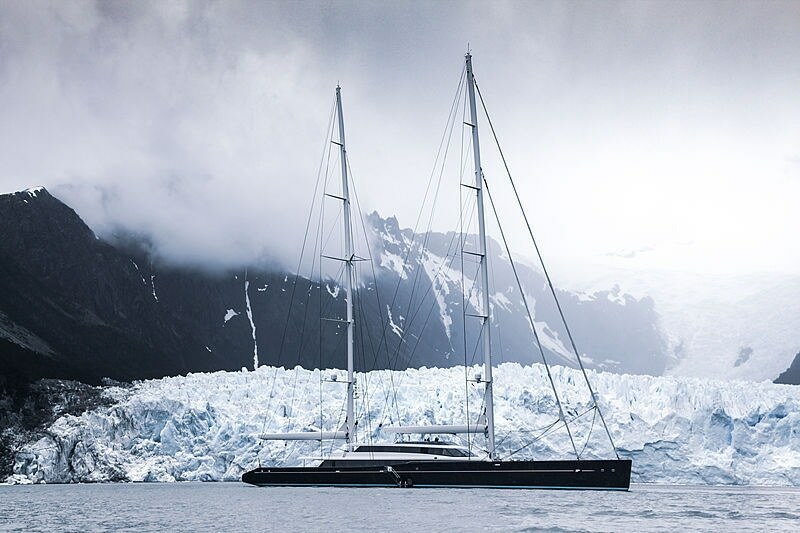 She sails well and has impressive 96-metre masts and systems. Onboard there are 17 crew members at all times, or 22 in total if you include the rotational team. 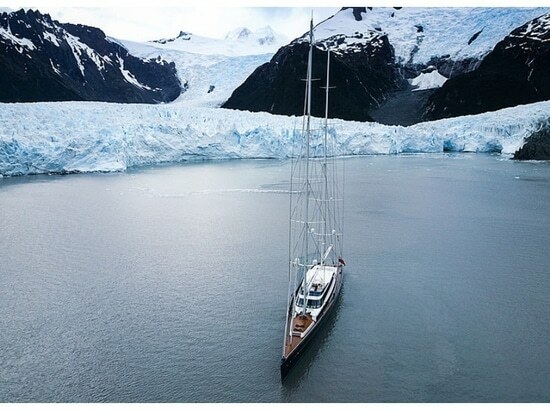 Before Aquijo, I captained the 60-metre Perini Navi Seahawk, who after two and a half years, I left in French Polynesia. Prior to that, I captained another sailing boat G2 (ex: Cinderella IV), a 39-metre composite superyacht, for four and a half years. Instead of moving between lots of boats, I prefer to have longevity with owners, boats and their programs. 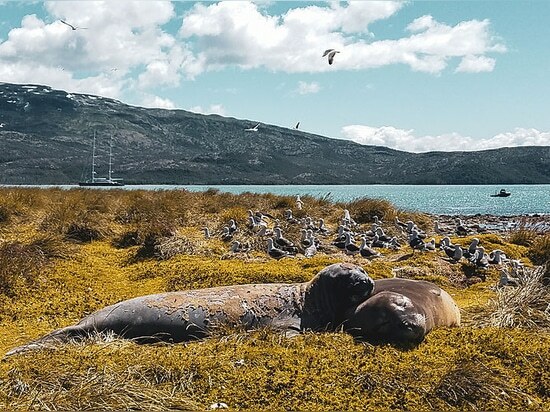 As captain, I have worked for only four owners.The programs I have been involved in have given me the opportunity to go to many places, but Patagonia is one of my favourites. It is such a beautiful and challenging place to visit - there is nothing quite like cruising through the Patagonian Fjords and getting right up close to the glaciers - everything is spectacular! We travelled through the area for two weeks without seeing another person, it is very remote, and a lot of boats don’t go there due to the adverse weather conditions. We went there in the summer, and even then you can’t sail that much unless you go out into the open ocean to Cape Horn, which in our experience, is very windy. We had to wear ski goggles when standing outside on the deck because of the 60-knot winds beating against your eyes - which is one of the reasons why Cape Horn is such a big deal! Managing expectations is very important when visiting a place like Patagonia. Guests need to know they’re not going to be swimming off the back of the yacht unless they want to be swimming with chunks of an iceberg - which is actually something we’ve done! Instead, they have to be willing to go walking in full outdoor gear in the rain. The alternative is enjoying the boat and all her facilities such as the beach club, jacuzzi, gym and steam rooms, which everyone loves after being out in the cold! You have to set yourself up with provisions for colder weather, lots of rain and wind. Provisions in Patagonia are extremely expensive and difficult to get hold of. 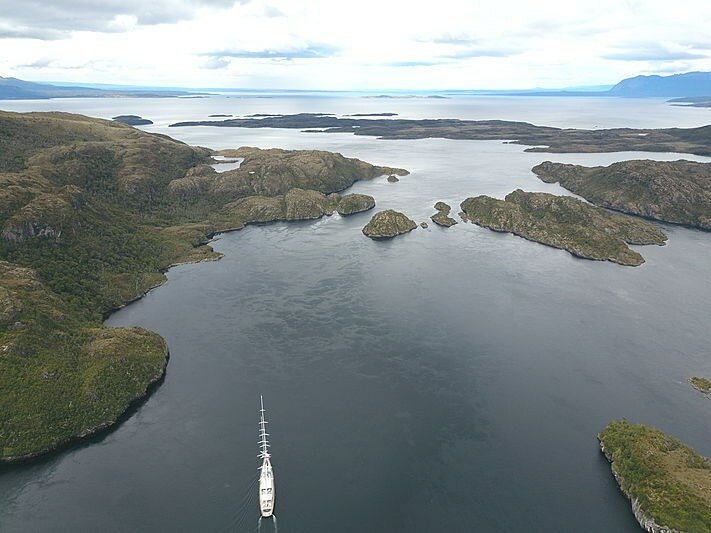 There is only one supplier that can get to you at Puerto Williams, which by the time provisions get to you, may not be what you expected. Fussy guests have to understand beforehand that you are limited to what you can get in the area. Sitting in restaurants is not really an option. If you do manage to find any restaurants in some of the bigger places like Puerto Natales, they are very basic - interesting, but very basic, so guests must be adventurous. 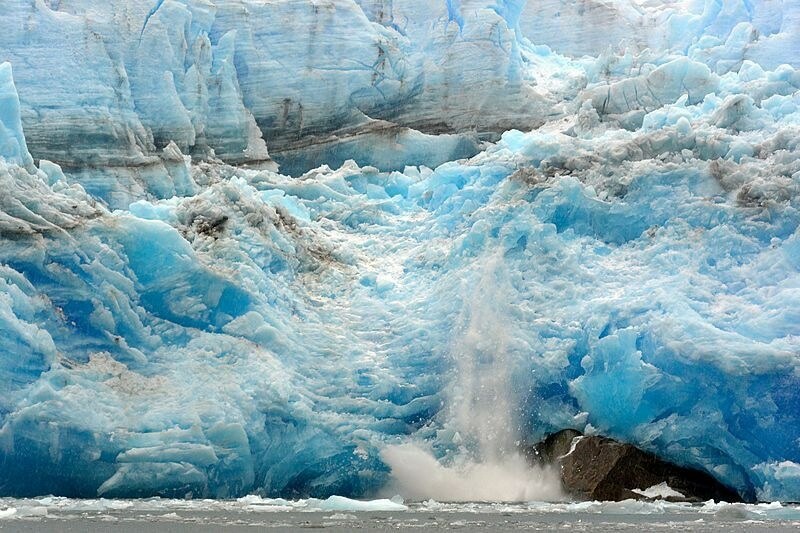 The glaciers are a huge attraction. There are a lot of glaciers still growing in Patagonia and not retreating like in a lot of other places in the world, so you can safely get up close to a glacier, which is huge! These blocks of ice sound like shotguns when they crack, and this happens all day long - but when you see all the ice crashing down right in front of you, it is beautiful. We regularly threw our fisherman’s crab pot over the side to catch giant king crab. The owner loved it. You can fish a little bit inside the fjords, and we have done so. One time when we were out with our Russian guests we caught some fish, but we had no idea what they were... So I wouldn’t say you’d go there especially for fishing, but perhaps trying to catch a Patagonian Toothfish could be worth a go, as they are notoriously difficult to catch! We initially considered going diving inside the fjords, but the visibility isn’t great due to the glacier dust - where the water whitens out from all the ice. If you want to go diving you also have to go in proper gear - you can’t go in a wetsuit as the water is below six degrees, and drysuit diving is quite specific and requires qualifications. To help us along the way, we had the famous adventurer Skip Novak onboard. He does a lot of these expeditions, and it was great to have him accompany us. We also had a very good pilot with us, which is very important out there. If you don’t take a pilot or people who are knowledgeable of the area, then you will struggle because the chartering is so limited. Most of the time you end up using the local Chilean Navy charts for direction, but with a pilot onboard we quickly found out what we could and couldn’t do. 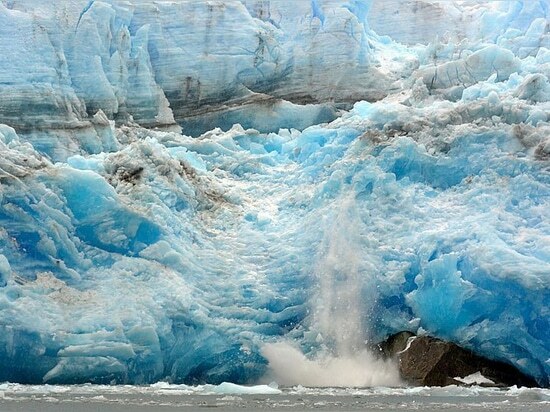 With their help you will likely have a better experience, such as anchoring a couple of hundred meters away from a glacier face, but, you have to be careful because ice will break up and you will wake up the next morning surrounded by big chunks of ice, making it a bit difficult getting out. But in saying that, the excitement and beauty of the place is worth it." It can get a bit tedious if you are looking at things from a distance the whole time, so schedule a few days in each place to make sure you really get the most out of the trip. There are plenty of activities to do onshore. Although the boat is fantastic, most people are happy to get off! 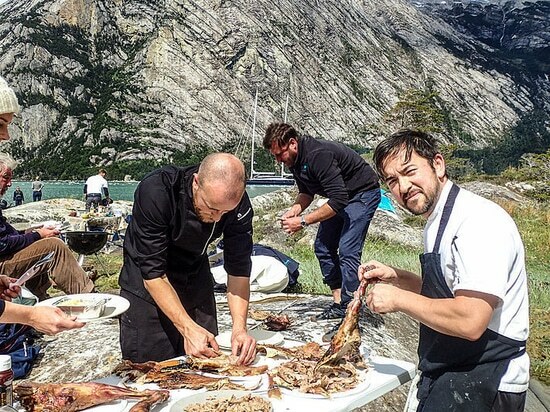 One day we got wood provisions to make a fire and barbeque a whole lamb on a spit on the glaciers, and we all loved it. Other times I have taken guests foraging for berries to cook with when back onboard. In Puerto Natales, we visited a horse ranch where some of our guests went riding, which makes a nice change from hiking and glacier-spotting. Proper equipment is essential, and hiking is probably my favourite activity as there is everything from meadows to mountains to explore. It doesn’t appeal to everybody and abilities do vary, but there is terrain for everyone. The main activities over there are centred around travelling to see the glaciers. Skip Novak was with us just for two weeks from Cape Horn to Puerto Natales. This knowledge is important to maximize the value of being there. Not all charter crew would know what exactly to do otherwise. The weather is very adverse. You can have clearer days but be prepared for constant rain and low lying clouds. You might not see as much as you would like. After Patagonia, we continued north to Costa Rica, Galapagos, Cocos Island, French Polynesia including Tuamotus and society islands. Then worked our way west through Tonga, Fiji, Vanuatu (another one of my favourites) and then down to New Zealand. When leaving New Zealand in March, we will probably head to Tasmania and then up the Australian coast towards Papua New Guinea and then into Indonesia. From here there we can visit the Andaman islands and then potential stops in the Maldives, Seychelles, and Madagascar before we stop in South Africa for a Braai. Aquijo is available to charter through Y.CO. and the team are able to tailor any trip to suit client’s needs in legal charter locations, worldwide to the North or West of New Zealand, where Aquijo is currently located.